Everyone knows that everything is bigger in Texas and our food is no different. We’ve got big steaks, big burgers, big BBQ, big tacos, and BIG bowls of chili to name a few. We may also carry a bigger waistline for it but bad habits die hard ya’ll. Although being vegan and removing the animal fat, cholesterol, and calories from the plate can certainly make a dent on a girls figure, it hasn’t stopped me from wanting or making big food. You see we Texans are born with the motto go big or go home! Take for instance this Texas Sized Cornbread I made for New Year’s Day. This simply tasty Texas cornbread is a hearty side to a big ole’ pot of beans, your favorite spicy chili, a cold winters day soup, or a sweet treat with a lil vegan butter and Bee Free Honee. I like to change it up too now and then by adding sweet corn or jalapeños for a spicy kick. Pssst…you can go really big and add them both! Just look at that beauty would you. 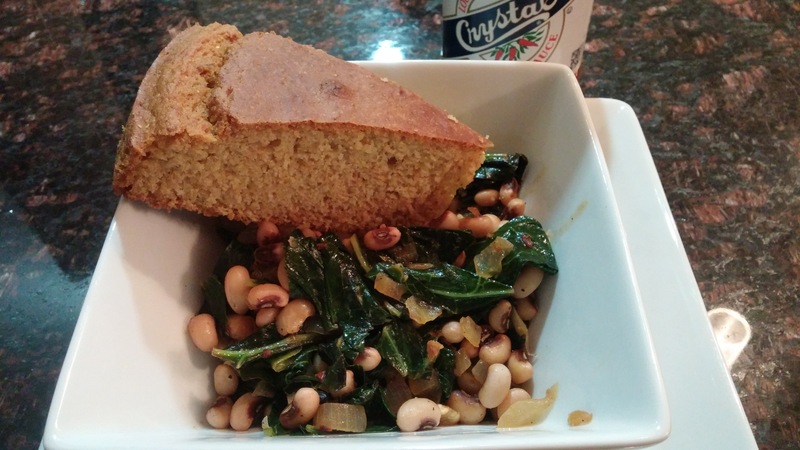 Shown here served with my black-eyed peas and greens. Cornbread can be eaten anytime of the year but I especially like it in winter when I tend to eat more warm hearty dishes. I keep any leftovers in the pan covered with foil on the counter for a few days. If you have any left after that take it and cut it into cubes and put it in a freezer bag and store it in the freezer. Next week I’m going to show you how to use those cubes and make a simply tasty cornbread breakfast casserole. Brunch anyone? Until then, enjoy yourself a Texas sized slice of cornbread on what’s sure to be a very cold weekend for most of us. It’s all relevant, right? 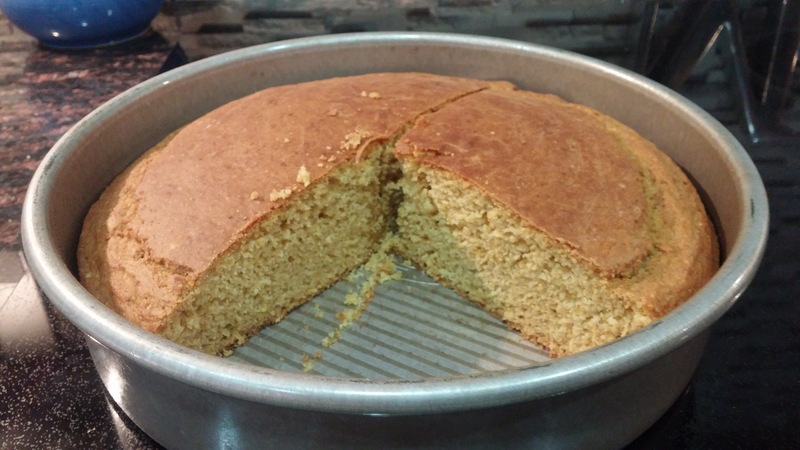 This simply tasty cornbread is light and moist but big on flavor.